With Burns Night fast approaching, this week’s recipe is quintessentially Scottish, yet it’s a million miles away from traditional haggis, neeps and tatties. Graced with such an astonishing natural larder, it’s sometimes easy to forget that Scotland has direct access to some of the globe’s finest sea food. So what better restaurant to provide a recipe than Edinburgh’s Ondine? 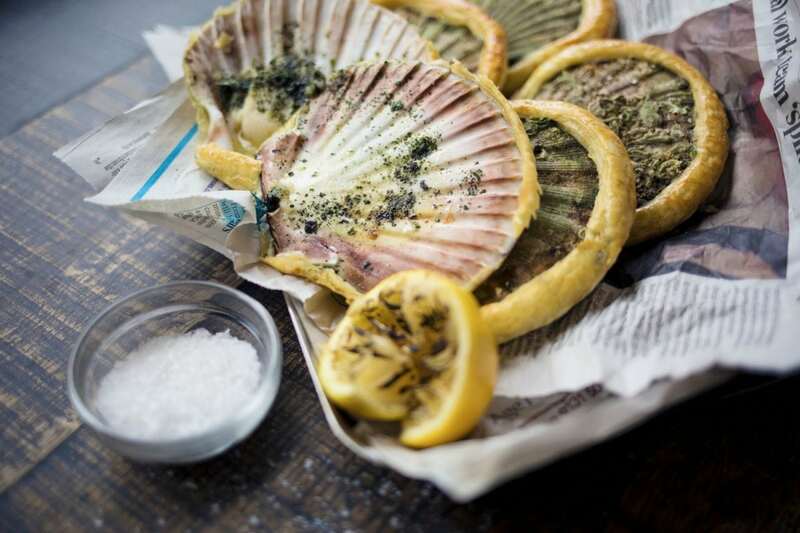 These scallops from Chef Patron Roy Brett are relatively simple to prepare at home and make for an impressive starter or light main to celebrate the Birthday of one of Scotland’s most beloved national treasures. To make the butter simply mix all the ingredient together and adjust the seasoning to your preference. Strain the sauce through a fine sieve. Taste and adjust the seasoning if required. Set aside. Brush the scallops all over with the softened butter and season with salt and pepper. Place the other half of the shell on top of each scallop, and wrap each puff pastry strip carefully right around the gap where the shells meet. The seal is important as it will lock in all the juices and flavour as the scallop cooks. The scallop will steam in the shell, cooking very gently and evenly. If the seal is not tight enough then the heat from the oven will enter the shell and overcook the it. Brush the pastry and top of the shell with the beaten egg. Place the scallops onto a baking tray, standing each one on a ring of scrunched foil to keep them level, and cook in the oven for 10 minutes. Serve on a bed of Maldon rock salt and sea purslane. Further information on Ondine can be found at ondinerestaurant.co.uk.